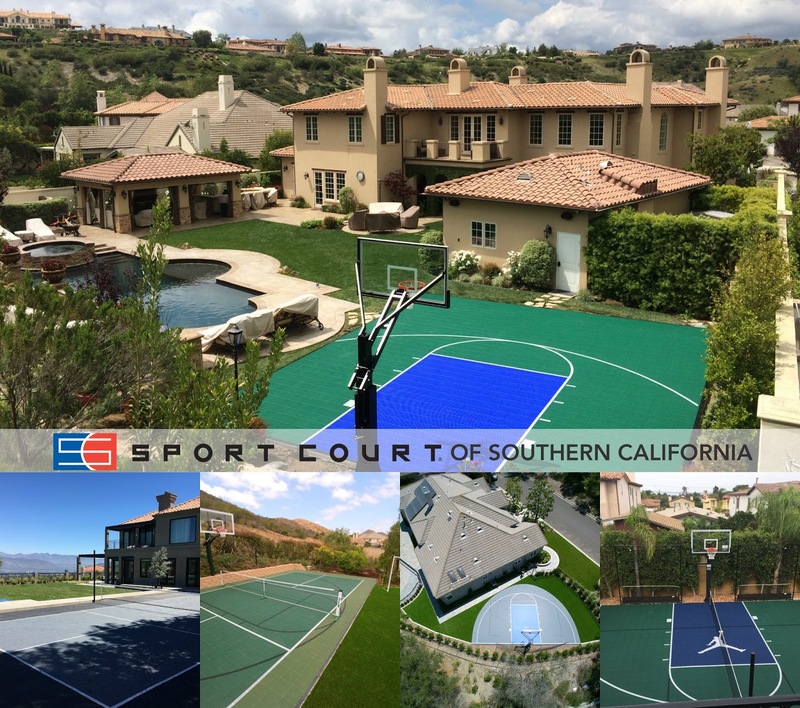 Sport Court of Southern California: Spreading Season's Cheer in 2016! Spreading Season's Cheer in 2016! Sport Court of Southern California is thrilled to share some of our favorite commercial and residential court construction projects of the past year. Our top five Sport Court Residential projects span from San Luis Obispo county to San Diego and everywhere in between. These Sport Court backyard courts are ready for years of family, fitness, and fun! Valley Torah High School in Valley Village, CA features a state-of-the-art Sport Court facility. What was previously an unused space next to the high school, is now a high-performance Sport Court Sports Complex; complete with volleyball courts, synthetic turf, running track, full size basketball court, ample Slam System hoops, and lighting. The non-profit organization, Carter's Kids, has donated a safe playing surface to Centinela Elementary School located in Inglewood, CA. Their recess and lunch playground has been transformed into a multi-game area by using many colors of Sport Court PowerGame surface. Tilogy at Polo Club located in Indio, CA constructed 3 Tennis courts and 4 Pickle ball for the newest residential Shea Homes development. The Sport Court Tennis division assisted in every aspect of the turn-key project for Shea Homes. Paul Geyer, our in-house tennis consultant, has been in the tennis court construction industry for over 35 years! Stepping Stones Academy in Fullerton CA, installed a multi-game court in the center courtyard of their school buildings. Their single court can play up to 23 games and is perfect for students from kindergarten to eight grade. San Gabriel Volleyball Club has retrofitted and updated their gym in Los Angeles to feature Sport Court Maple Select and Response gymnasium flooring. Their club plays on the #OfficialCourt of NCAA Volleyball! We thank you for another incredible year here at Sport Court of Southern California. Best wishes from our team to yours in 2017.